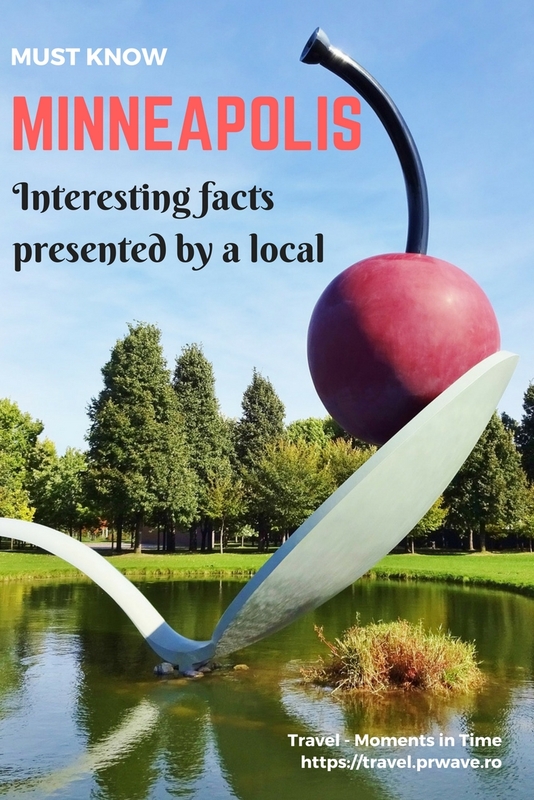 When I hear Minneapolis, I instantly have the picture of the Spoonbridge and Cherry sculpture, the centerpiece of the Walker Art Center’s Minneapolis Sculpture Garden in mind. But there are many more interesting Minneapolis curiosities you simply have to know and I am happy to present them to you today in this article by Susan Gleissner from This Big Wild World. She is from Minneapolis, Minnesota, USA, so use this list of interesting facts about Minneapolis when planning your trip there! You can also find many more curious things from across the globe in our dedicated series on this blog! When people say Minneapolis, words like “frigid” and “wintry” often come to mind, along with a reference to the movie “Fargo”. But, did you know that the city has 5,000 acres of park? Or that the iconic Mall of America is the size of over 78 football fields? How about the fact that Minneapolis & St Paul combined have the 3rd largest theater market in the US? One could argue that Minneapolis itself is a curiosity. Yes, it gets quite cold in the winter, but Minnesotans don’t let that hold them back. Whether you embrace the cold or prefer to celebrate being a great indoorsman, here are four curiosities any visitor should experience in Minneapolis. 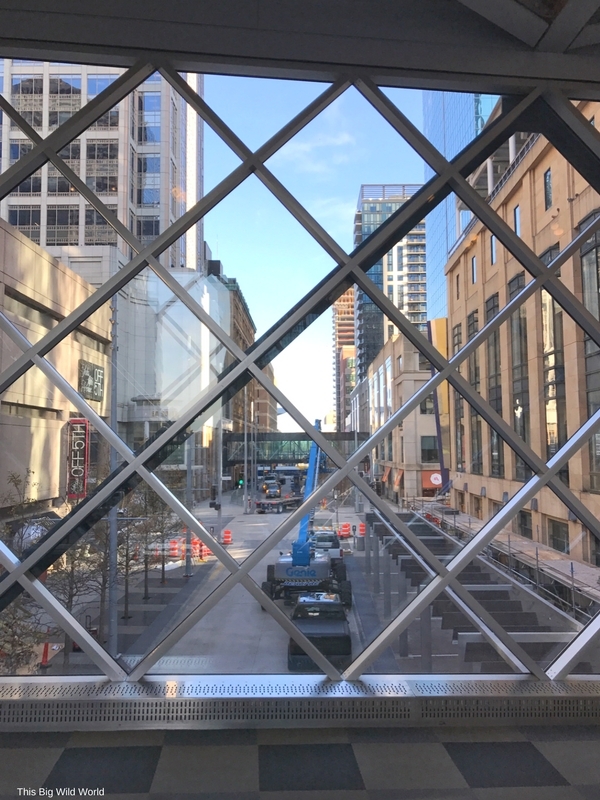 The city center of Minneapolis is connected by more than 11 miles of enclosed pedestrian walkways. It’s the longest continuous skyway system in the world. When walking through the city at street level, you can look up and see the skyway spanning across streets and between buildings. If the streets seem empty, go inside to the skyway level and there will be a bustling and energetic crowd, particularly during the workweek. It’s like a secret little city inside the skyway. There are businesses, restaurants, ATM’s, and fitness centers all nestled inside this climate-controlled environment. Because the skyways are owned by each building, they have different opening and closing times. So be sure to look for signs or check in advance. The website skywaymyway.com has a helpful map to help you navigate the skyway, including a mobile version. This is exactly what it sounds like and it is very MInnesotan. You buy a ticket, get a number and hope yours is drawn so you can pick a pack of raw meat. The prize can range from ribeye steaks to locally made sausages and everything in between! To make it even better, all proceeds go to charity. Not all meat raffles are created equally! Some have a simple, traditional approach where you buy a raffle ticket and wait for your number to be drawn from a pot. Others have a spinning wheel to pick the winning number. Most meat raffles have 4-6 rounds, which you buy into separately. One place that I visited had bonuses like free drink giveaways during the meat raffle as well! 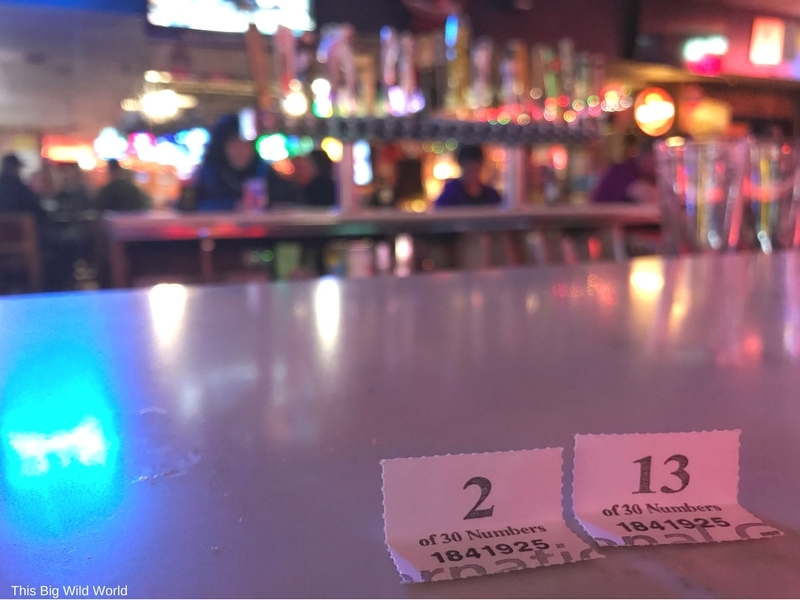 You can experience a meat raffle at any number of locations around the Twin Cities. Any VFW or American Legion will have one every week, but many bars have started holding them as well. Check on Yelp! For meat raffles near any neighborhood in the Minneapolis area and you’ll find endless options. 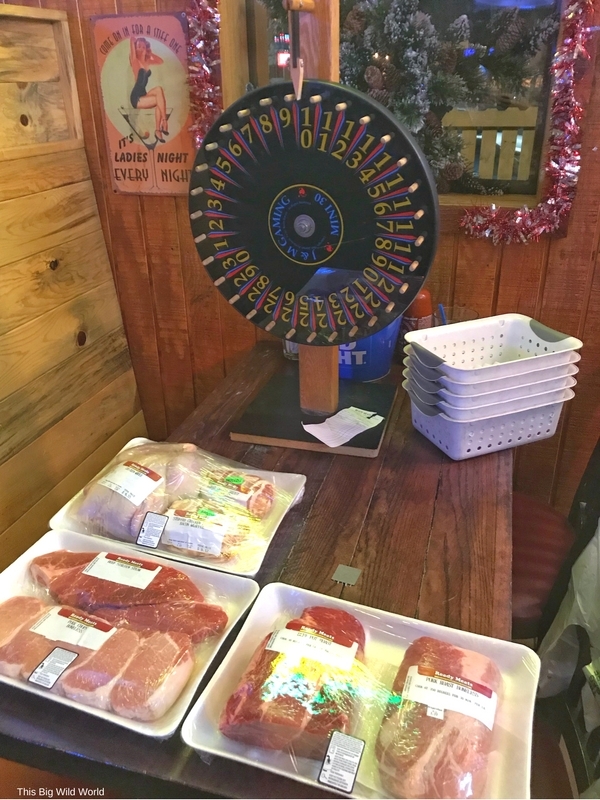 Minnesotans love charitable gambling so much that it extends beyond meat raffles to what’s called the Tri-Wheel. 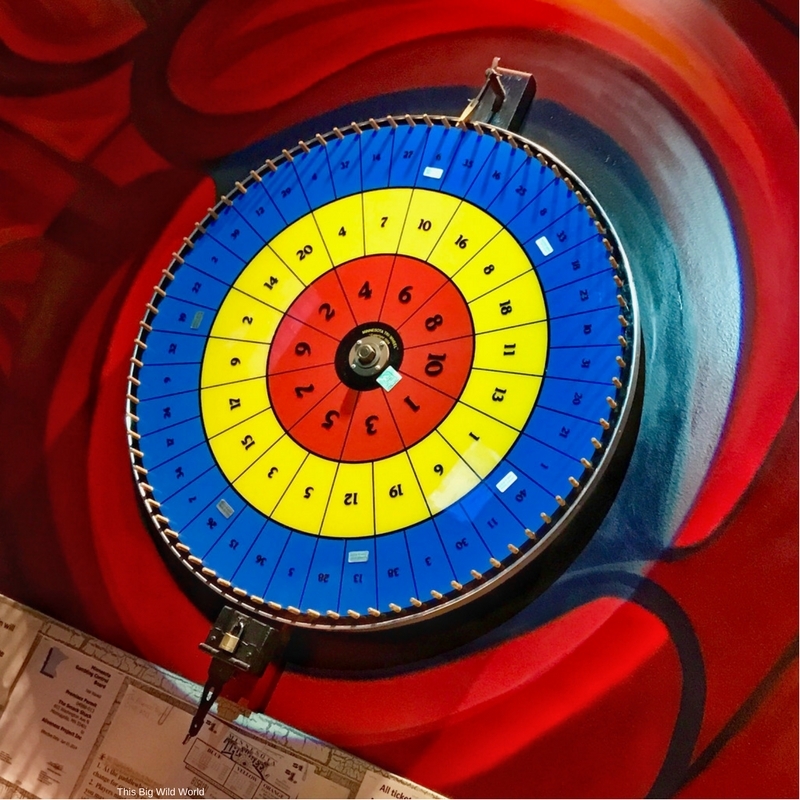 This game involves a wheel with three circles of numbers like a bullseye. The outer circle is blue and has the best odds. The middle circle is yellow and the inner circle is red. Odds decrease as you get to the center of the board. The rules are simple. Slide your cash across the betting table to the dealer. They’ll count the cash and give you chips in exchange. There are two main methods of betting. Some establishments ask you to place your chips into the slots on the betting table. At others the dealer will give you a ticket to write your name on which you then slide it into the slot to place your bet. Once the dealer calls a warning, they spin the wheel. Wherever it lands is the winner! No matter where you go, the Tri-wheel always has an energetic crowd gathered around! 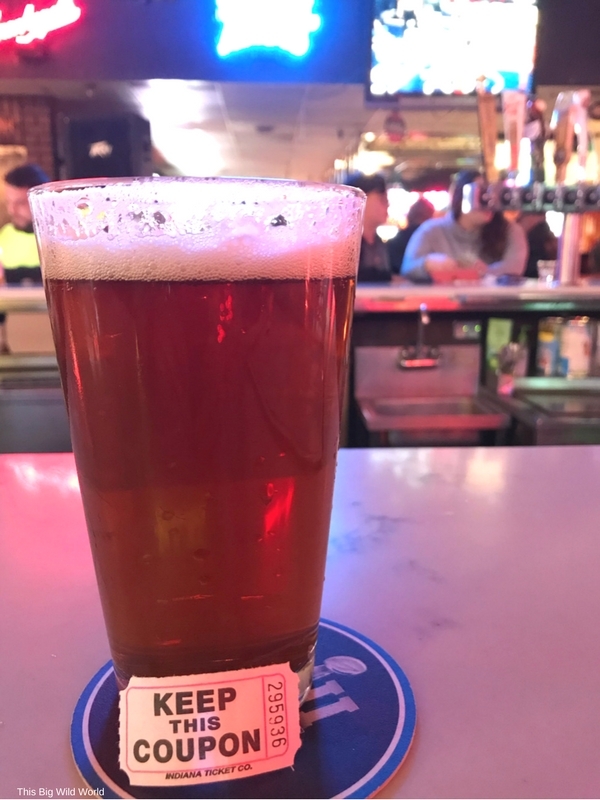 One of the local favorites is at 1029 Bar, located across the river from downtown Minneapolis in the Northeast neighborhood. Unlike anywhere else I’ve known, Minnesotans love the outdoors during every season. 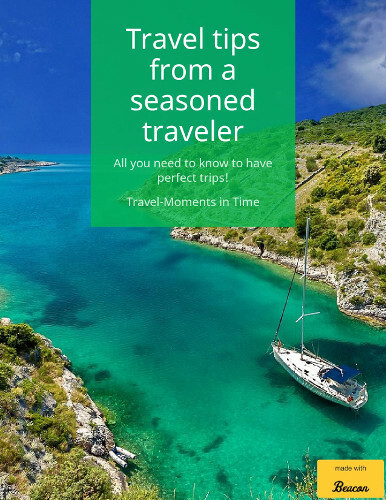 They encourage you to embrace the cold in the winter and soak up the sun in summer. For visitors who experience Minneapolis in the winter, challenge yourself to get outside! Locals will be seen playing hockey on Lake of the Isles, cross-country skiing at Theo-Wirth Park, and fat tire biking all around the city in the snow. And don’t forget the ever-popular ice fishing experience. In the Land of 10,000 Lakes opportunities are everywhere! 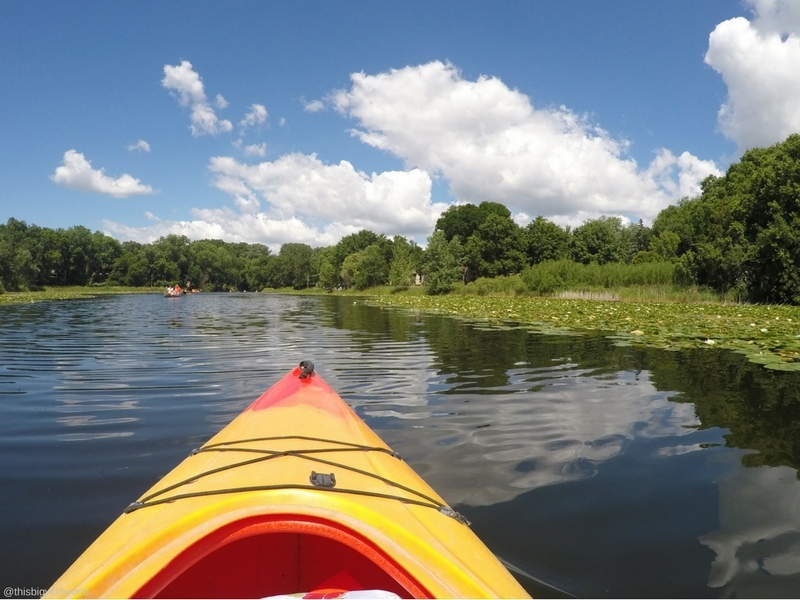 If you plan to visit in the summer, join in some of Minnesotans favorite activities. 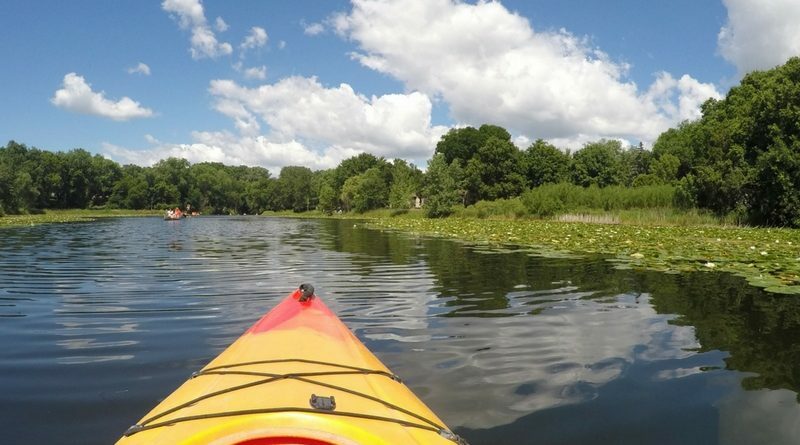 You can rent kayaks or paddleboards at Lake Calhoun, rent boats on Lake Minnetonka, hike miles of trails, and bicycle all the way up to Duluth! The most coveted Minnesota summer activity is spending a weekend at a lake cabin. If you ever get invited, consider yourself incredibly lucky! It’d be rude to say no. Those 10,000 lakes are filled with boaters and lined with cabins for your summer enjoyment. It’s the quintessential Minnesota experience. 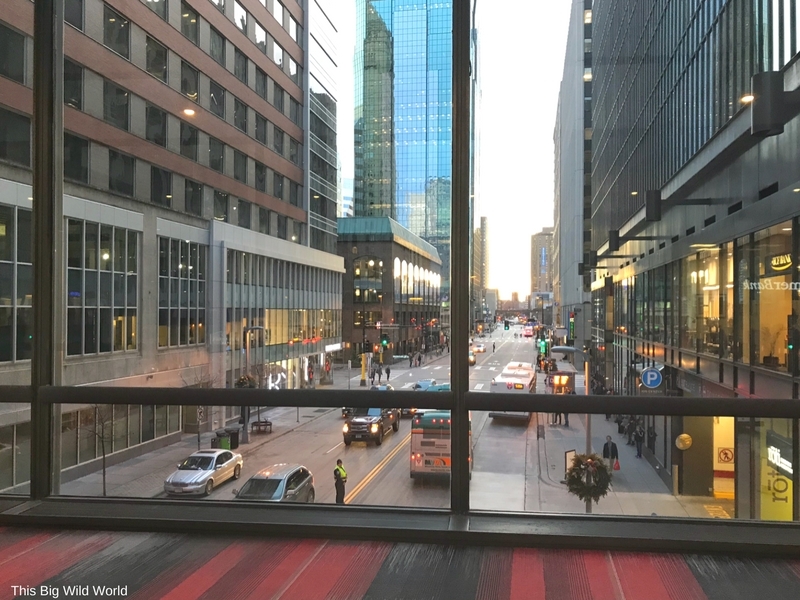 Minneapolis is a surprisingly vibrant city that is sure to surprise you! It offers something unique for any visitor. Are you ready to come explore the Bold North? believes there’s an outdoor adventurer inside every one of us and we’re just in need of the right inspiration! Join her on Facebook, Pinterest, and Instagram. 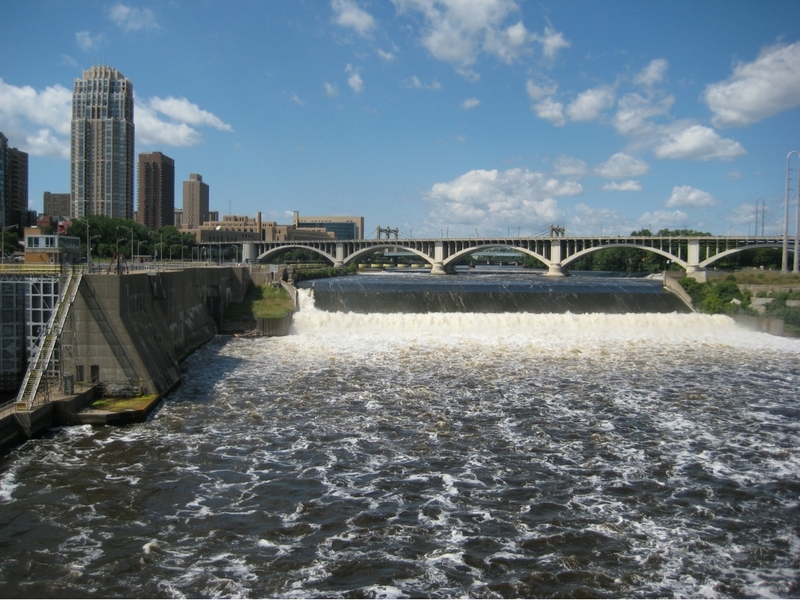 I grew up in St. Louis, Missouri and never made it up the Mississippi River to Minneapolis. Yes, it does get very cold up there in winter but summer time is the reward with natural beauty everywhere along with very enjoyable weather. I learned something new from your blog regarding The Skyway which I think is a great concept. More cities should consider doing this. I had a friend that visited Minnesota in the summer and he had a blast! Would you liken it to the “Canada of the United States”?